Brand New 2018 Willerby Sheraton Elite, two bed 42x14ft built to residential specification. Oyster Bay is set is the idyllic village of Goonhavern just minutes away by car from the village of Perranporth and the seaside town of Newquay. Oyster Bay is a park with a difference, the perfect base for a day out exploring and surfing before relaxing with a well deserved drink and a freshly prepared meal. Oyster Bay has a lot to offer from first class facilities such as an indoor leisure complex and an owners only surfboard and wetsuit storage, free owners concierge service. The New Inn Pub and Restaurant just a two minute stroll from the park and offering delicious meals all made with the freshest local produce with 20% discount to owners. The site is pet friendly and also has a owner's lounge, children's play park and on park leisure complex. 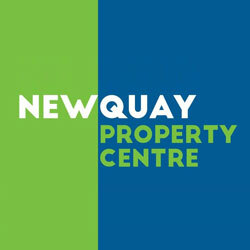 Contact Newquay Property Centre today for further information and to arrange a site visit. Annual site fees apply, finance packages available to suit all budgets.